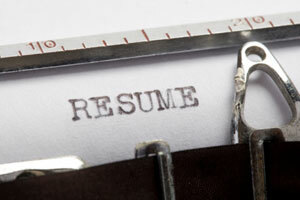 Has social media eliminated the need for the traditional resume? The short answer: Not yet. Although a great majority of companies use platforms such as Twitter or LinkedIn to source candidates, 77 percent always ask for a resume before scheduling an interview and 19 percent request one most of the time, according to a survey by Chequed.com, a pre-employment testing and screening software firm located in Saratoga Springs, N.Y.
To be sure, there’s less need for a paper resume nowadays, though it’s still a good idea to bring a few hard copies to an interview. However, you’ll need an electronic and plain text version if you plan to apply to online job postings or email your resume to recruiters and IT managers. There’s no doubt that social media has had an impact on the recruiting process and the role of resumes. Let’s explore those changes by answering a few of your questions. Why do I need a resume and an online profile? Because they serve different purposes. Think of your online presence as bait. Profiles, blog posts, portfolios and coding samples are tools that help you garner interest from recruiters and employers, expand your network and promote your brand. Your resume’s sole purpose is to get you an interview. Why do employers still require resumes? A resume is a formal document. Employers expect a grammatically correct and accurate accounting of your professional experience, education and skills, and many protect themselves by creating a “paper” trail throughout the hiring process. After you’ve been brought on board, they may fire you if they find out that you lied or misrepresented your qualifications. Like it or not, the traditional resume is still the Holy Grail of recruiting. But, stay tuned. Things could change in a year or two. Should I offer the same content in my profile and resume? Your profile provides a general overview of your skills and experience, while your resume demonstrates your value by specifically addressing the hiring manager’s needs. Since social media is less formal and more interactive, you can speak directly to your audience by referring to yourself in the first person and posting professional activities and opinions that don’t belong in a resume. In short, your social media activity and content should complement, not mirror, the information in your resume. However, it’s smart to provide links to your profile, videos and blog in your resumes and cover letters. That offers reviewers a holistic picture of your capabilities by leveraging multiple mediums. How do employers use social media? Employers primarily use social media to source candidates and promote their open positions and employment brand. They monitor hot prospects and often interpret a flurry of activity as a sign that a professional is about to hit the market. Note that some recruiters use social media to verify and augment the information in your resume, so make sure your information syncs up. And now that you’re an astute content marketer, accelerate your impact by making sure that your posts and comments resonate with your audience. When they bite, pounce on the opportunity by sending them a customized version of your resume. I always have my resume on a flash drive. It is easy to download. No one *needs* an online profile. Stop trying to scare people into this nonsense. Software developers, graphic artists, voice-over artists, and many others definitely need an online profile. It’s expected by the people who hire them. And that list will do nothing but grow.